In every Clan War, we can easily see that a lot of players don’t have enough time to finish off all buildings on the ground, even after removing all defensive buildings. That’s why we need troops! Cleanup troops are not always required but it is always a great idea to bring them into the attack. Why should we use Cleanup troops? While raiding, time is a very important factor of 3 star attacks. While dealing with the base is hard, we also need to deal with the time running out. 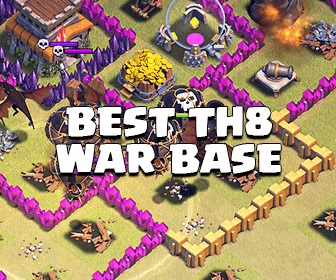 Everything should be done quickly If you don’t want to end up the raid with only 2 stars while troops are walking around the base to find the Builder Huts, or the worst, 99% – 1 star. So, using Cleanup troops is very important If you want to get more percentage for your clan and achieve a better raid. Don’t give more than 10 housing spaces for Cleanup troops or it will ruin your attacking strategies. Losing 5 cleaning Wizards to the Giant Bomb is not good at all. Don’t try to use your Clan troops for cleaning. Don’t wait too long, try to drop your cleanup troops whenever an arena is clear. Deploying them too late still ruins your raids! Don’t use Cleanup troops If defensive Clan Castle troops are still alive. They can change their directions to your cleanup troops anytime! If you use ground attack strategies, It will be not bad to use 2 Wizards and 2 Archers/Minions. If you go with air attack strategies, you can bring couples of Minions. Normally, If you are not really good at using them, you should deploy them after dropping your last Spell. Always predict where your troops are going to be at the end of the attack. Note the buildings that will be skipped by your troop funnels to choose the best side to deploy Cleanup troops. Don’t deploy them on a side If all defensive buildings there are not down yet. If your attack strategies take down defensive buildings at first (Hog Riders, GoHog,…), you can deploy Cleanup troops once your army has finished half of the base. The Skeleton Spell for cleaning up. Drop them on defensive buildings which are locking on your main army. Otherwise, drop them on leftover buildings If there isn’t any ground-targeting defensive building nearby. 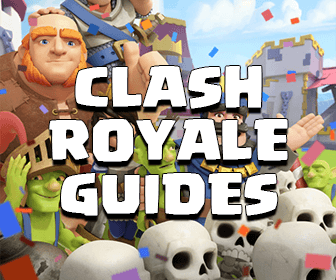 This guide is from Cl0uD, leader of the Reddit.Omicron Clan. If you have any tips and tricks about this topic, don’t hesitate to leave a comment!